The Canadian Princess and I after a tumultuous spring and early summer headed for the mountains to retreat for a few days in South Tahoe . . . on the way from the quicky mart on hwy 50 I met a fellow bearded fellow named Steve . 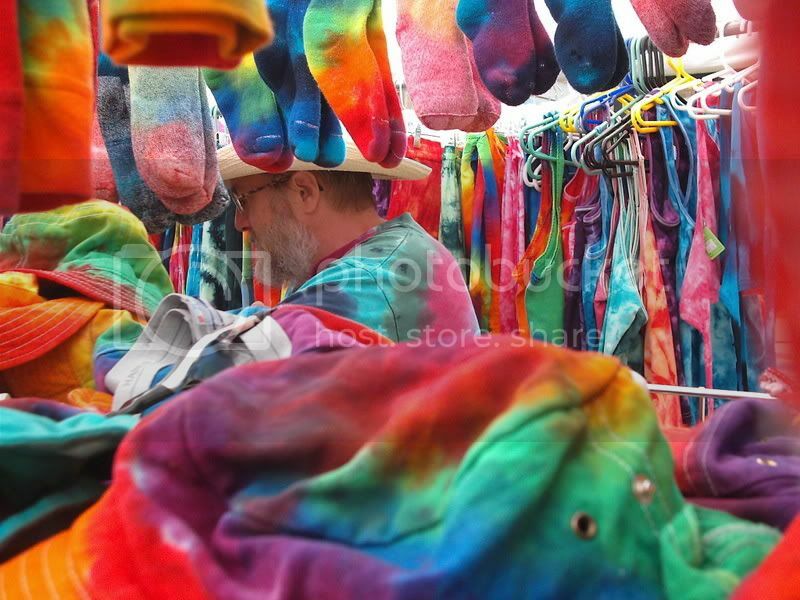 . .
Steve has a passion for tie dying all things cotton his going concern is Prism Magic Tie Dye . . .